Vivary Adventure Centre offers a variety of activities for both children and adults. The course includes: High and low ropes courses, Power Fan Descender, Climbing Wall, Gladiator Challenge, Caving Ladders, Totem Pole, Orienteering and Mini Golf. 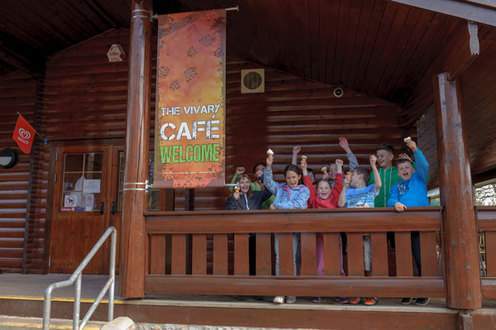 Stop by for food and beverages at the Vivary Cafe after an adrenaline fuelled time on the High Ropes course. Running around the base of our High Ropes Course, our 18-hole mini golf course is great fun for the whole family. Putt your ball up, down and around obstacles as you try to make the lowest score.